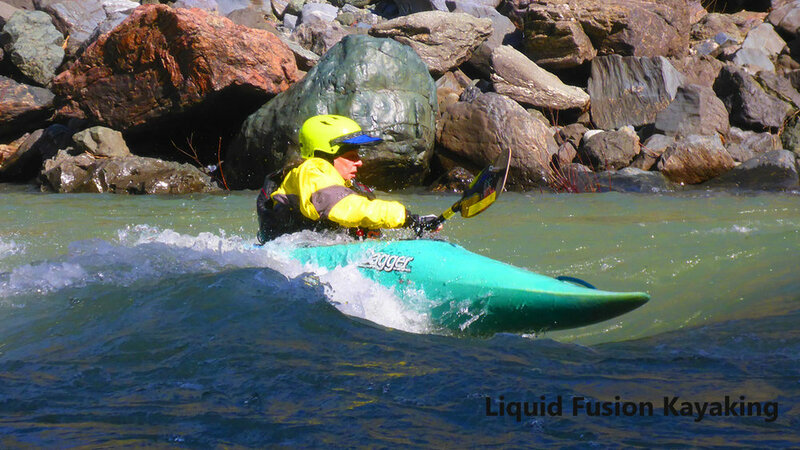 Learn to Whitewater Kayak or Build Your Whitewater Skills with Liquid Fusion Kayaking. 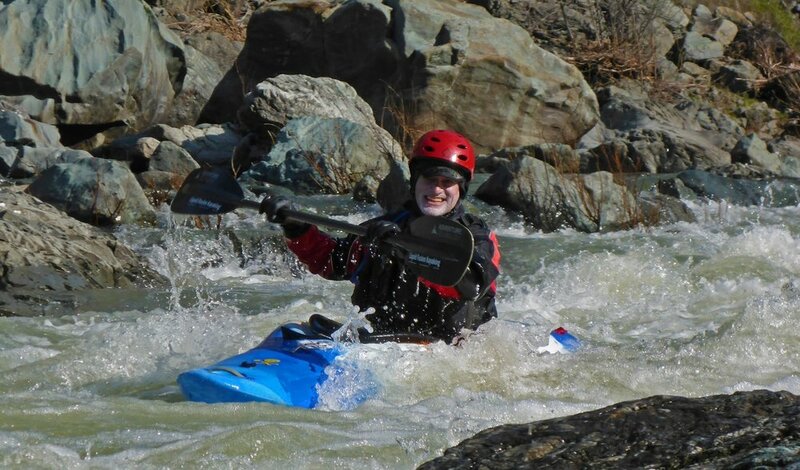 LFK’s Jeff Laxier and Cate Hawthorne are avid whitewater kayakers and are certified whitewater kayak instructors through the American Canoe Association (ACA). We teach classes and private lessons in whitewater river kayaking, whitewater ocean kayaking (aka whitewater of the sea or rock gardening), and kayak surfing. 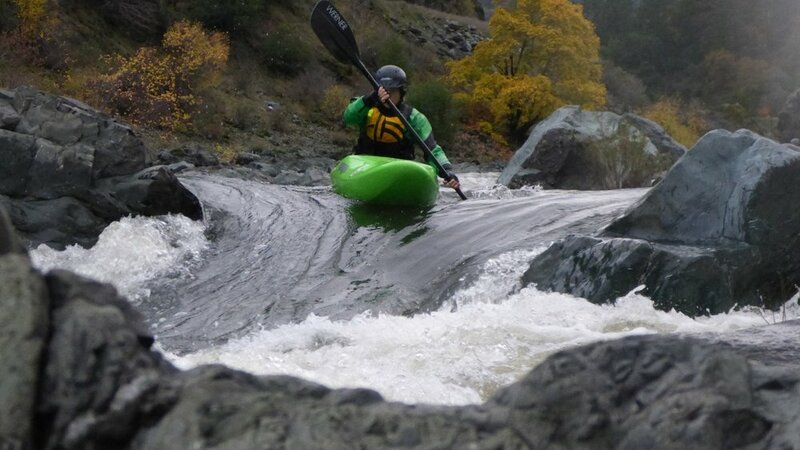 Whitewater private lessons and custom classes are available for beginners through advanced (class IV). Whitewater Kayak 101 - Beginning whitewater kayaking class. By appointment. 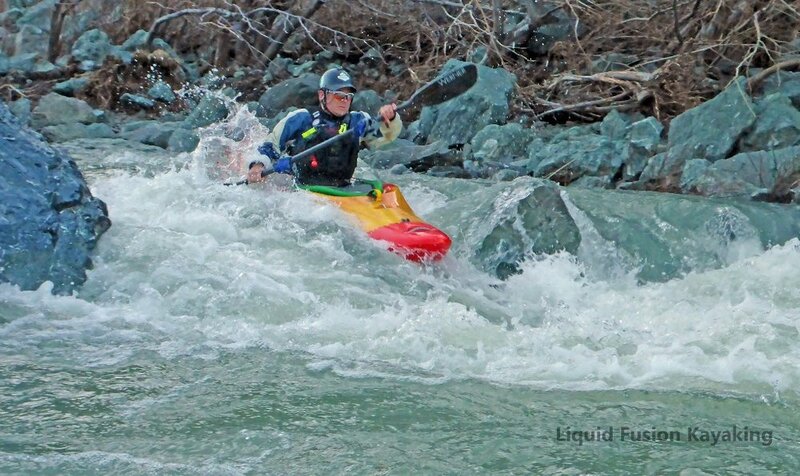 Whitewater River Kayaking - Whitewater River Running Class for sea kayakers and other paddlers who have basic kayak skills and who want to paddle whitewater rivers. March 16-17, 2019 and by appointment. 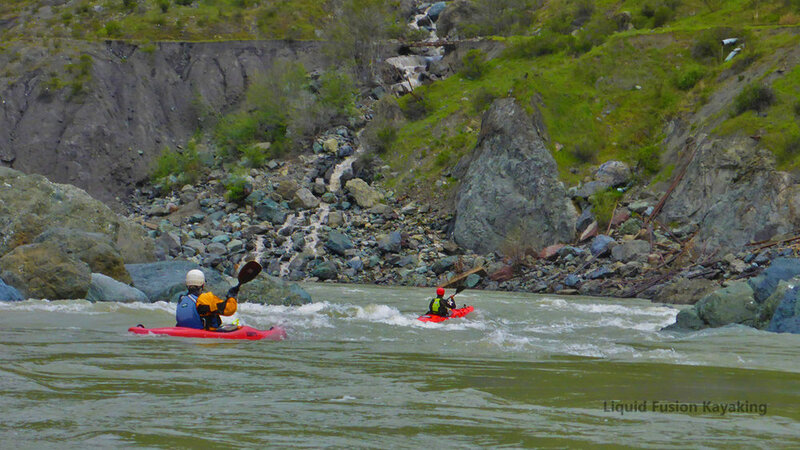 Precision River Running - Intermediate/Advanced Whitewater River Running Class. March 30-31, 2019 and by appointment. Guided Whitewater Kayak Runs - Journey down river with LFK. Check out our calendar for guided runs on the Eel River. Also contact us about our "go with the flow" guided runs and custom or private whitewater trips. Eel River Multi-day Trips - Join LFK on a multi-day wilderness kayaking adventure on the Eel River. Private Lessons and Custom Whitewater Classes and Adventures - Join LFK for a custom class or adventure on a Northern California Whitewater River - Half day through multi-day adventures and training available.